There’s been a lot of talk about digital twins this year, and some of you may have been wondering exactly how a digital twin is made (we certainly have). And, as if to answer that question, simulation giant ANSYS has announced the release of the latest version of its simulation platform, ANSYS 19.1. 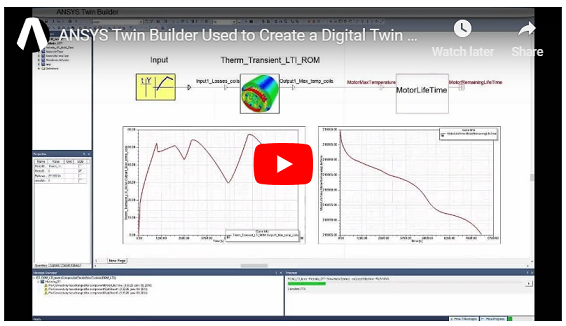 What is particularly special about this release is that it contains the Twin Builder feature, which, as you can probably guess from the catchy name, allows users to build digital twins of their own. Previously, making a digital twin was a somewhat clunky affair, with many disparate processes being thrown into the operation. With ANSYS Twin Builder, those processes are combined into a packaged and fluid workflow with an intuitive user interface designed to take away those twin building woes. ANSYS Twin Builder enables engineers to quickly build, validate and deploy these digital representations of physical products. The open solution integrates with any Industrial Internet of Things (IIoT) platform and contains runtime deployment capabilities to deliver constant monitoring of every individualized asset used during operation. 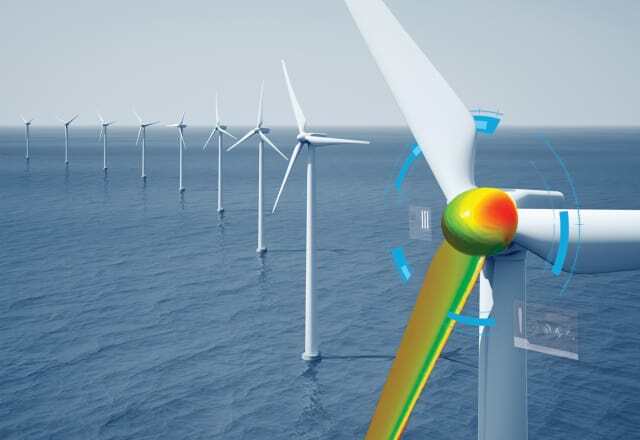 The combination of industrial asset connectivity with holistic system simulation, powered by ANSYS Twin Builder, empowers customers to perform diagnostics and troubleshooting, determine the ideal maintenance programs, optimize the performance of each asset, and generate insightful data to improve the next generation of their products. The workflow is roughly broken down into three stages: build, validate and deploy. The building stage allows for multiple modeling domains and languages, contains extensive 0D application-specific libraries, and features third-party tool (including 1D) integration. It allows for 3D reduced order modeling (ROM) creation and integration, and features the ability to provide embedded software integration. Users can validate an accurate representation of their real-life products and optimize product performance by 25 percent by using multidomain simulation with integrated post-processing, rapid human-machine interface (HMI) prototyping, systems optimization, and XiL (model-in-the-loop/software-in-the-loop) integration. And, finally, the deployment stage can quickly connect to supported IIoT platforms and can export and deploy generated models in a timely fashion. All in all, this can improve operations with a 10- 20 percent reduction in maintenance costs. You can read more details about ANSYS Twin Builder’s capabilities at this link.